This is the second book from Antje Damm that I have had the pleasure to read. 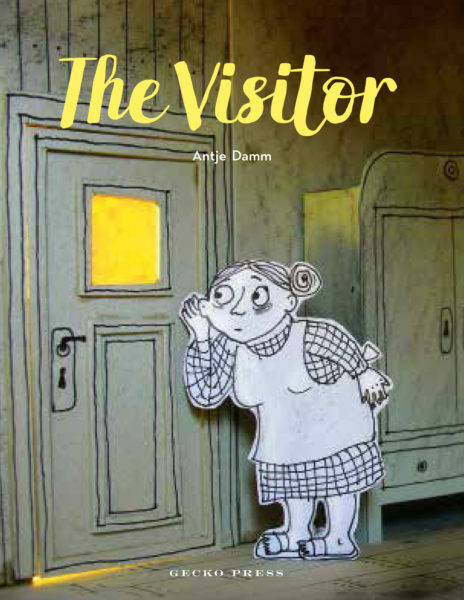 Waiting for Goliath was totally delightful and so is her new book The Visitor will be published in July. 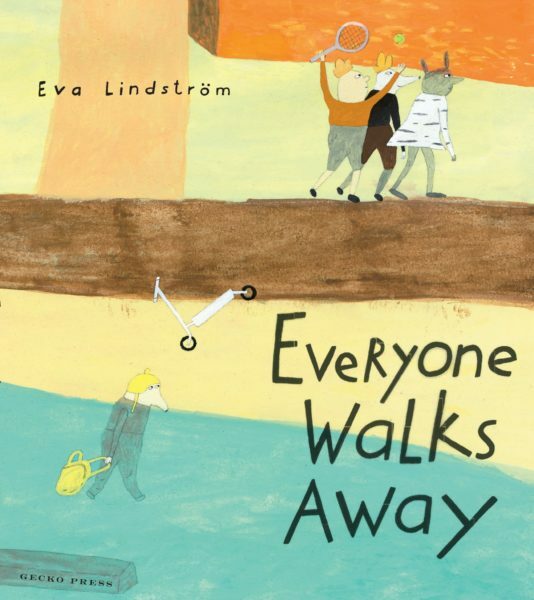 This is a very special picture book about the beginning of a new friendship between an old lonely woman and a curious young boy. The young boy Emil accidentally flies his dart inside the open window of Elise’s house. When he goes to collect it he finds Elise, a shy old woman who reluctantly lets him into her house. His curiosity and innocent questions are honest and realistic. I certainly found myself smiling as he looked at everything in her house and began asking lots of questions. Elise slowly begins to answer and it is not long before she finds herself opening up to him and a new friendship is formed. Inside the house is dark, with lots of browns and shady colours but glimpses of bright light shine outside the windows. As they begin to feel comfortable with each other, the light, bit by bit, enters the house. Even Elise’s cheeks begin to glow. 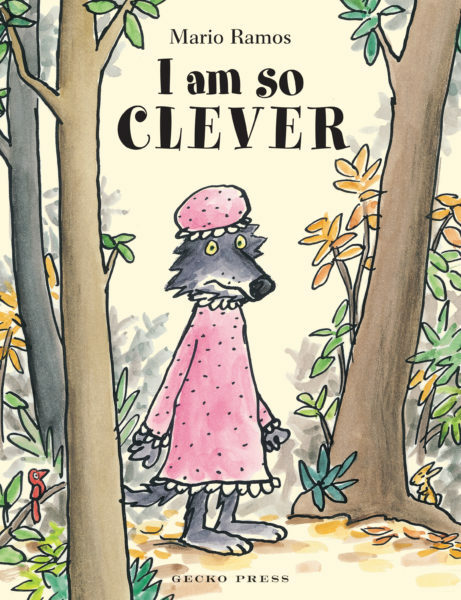 This is truly a delightful book to share with children of all ages. The art work is a mix of diorama, card cut-outs, and photography with a focus on the use of colour. It is quite simply, a wonderful work of art and a story to treasure. There are so many older people out there who could all do with a little Emil in their lives.